Ivan Johnson apologized to PBA commissioner Chito Narvasa on Tuesday. 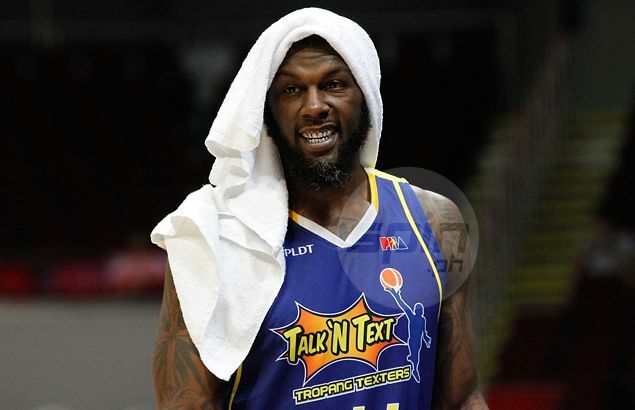 THE PBA on Wednesday reduced the lifetime ban on Ivan Johnson to just one season and his fine to P150,000. League commissioner Chito Narvasa initially banned the Tropang TNT import for life and slapped him a P250,000 penalty after Johnson 'cursed and disrespected' him in a Commissioner’s Cup game last Saturday. Johnson apologized to Narvasa in a meeting in the league office on Tuesday. Texters management is now setting its sights on the replacement of the controversial 31-year-old American cager, who is set to leave the country with his wife and two sons this weekend.